The tradition of visiting the vines of Vouvray was established some 50 years ago by Jacques Puisais. I was invited to the 2013 edition, which carried particular significance this year because of the damage caused by the brief but very severe hailstorm of 17th June. 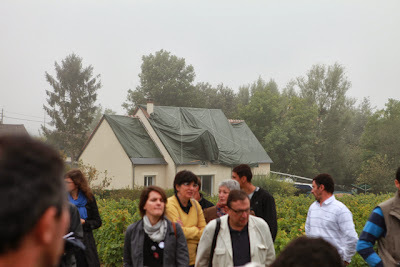 The storm hit Vouvray around 5am having travelled up from the south west crossing the valleys of the Indre Cher, over Tours and La Loire. 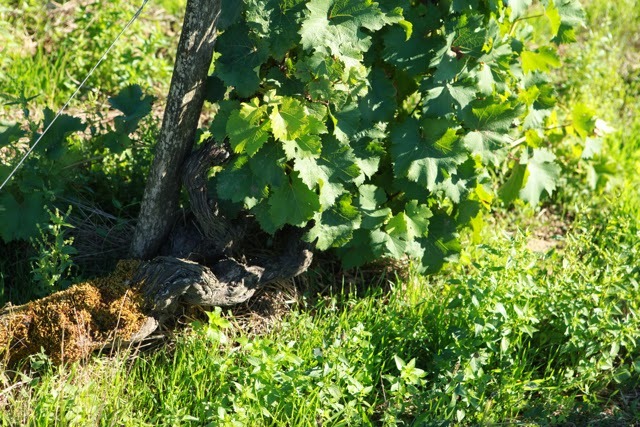 Certainly there are parts of the appellation, especially along the première côte of Rochecorbon and Vouvray, where there is no crop left for this year and damage to the wood means that there will be consequences for next year. 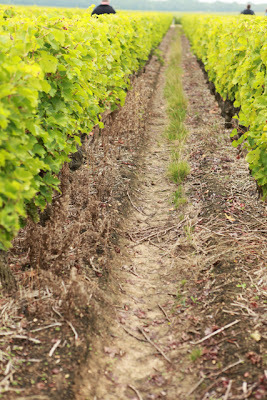 Equally there are parts of Vouvray, like Vernou and Chancay, which missed the storm and will have a normal crop this year. So there will be Vouvray produced in 2013. Before the harvest is complete it is difficult to have exact figures of the loss from the storm. 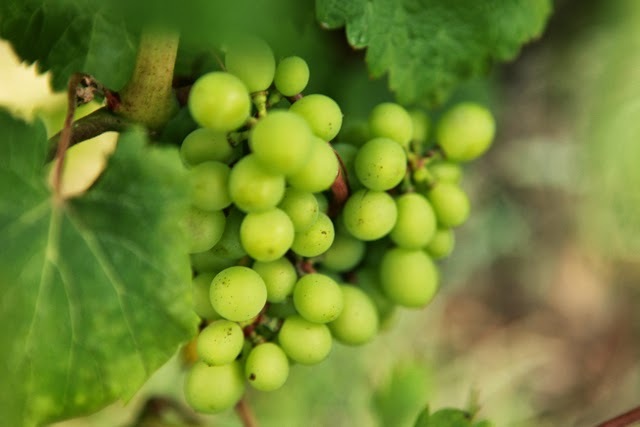 However, provisionally, it is thought that damage in 40% of the appellation is between 80% and 100%, in 20% the damage is between 20% and 60%, while 40% wasn’t touched at all. 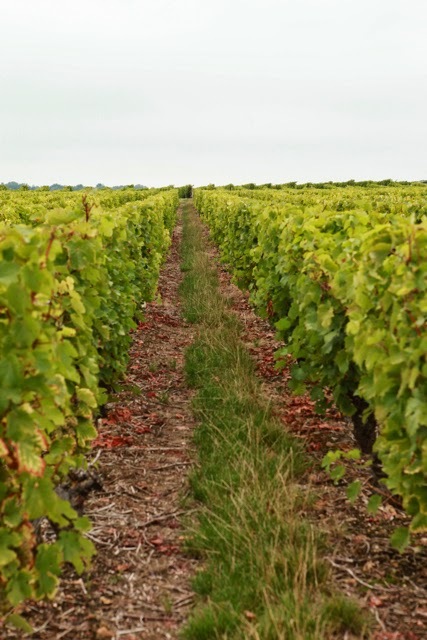 We visited two vineyards: one at Vouvray where the loss was 100% and where they had had to reprune part of the vineyard because the damage was so severe. Repruning helps the vine to recover more quickly. 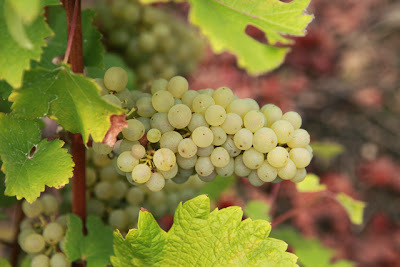 Virtually the only grapes to be seen were some second and third generation bunches. 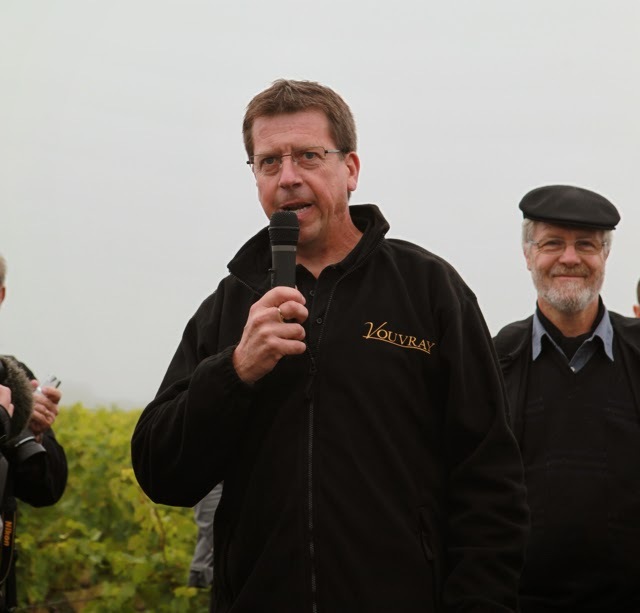 As well as seeing the damage and the repruned vines, Etienne Carre (laboratoire de Touraine) and Dominique Gourdon (chef du centre météorologique de Tours), talked about the 2013 weather. After a very cold spring followed by a good summer the 2013 weather stats for temperature, rainfall and sunshine are now around the average for the last 20 years. They also explained the history of preventative measures against hail and the present situation. It is impossible to prevent hail but it is now possible to reduce the impact by reducing the size of the hailstones. This is done by firing iodure d'argent into the thunderclouds. This can either be done from above using a plane or by firing rockets from the ground. Rockets are the safest solution as it is dangerous for planes to fly close to storm clouds because of the turbulence. The second visit was to a producer in Noizay, who will have a normal crop. Here the emphasis was on biodiversity with contributions by Emmanuelle Bollotte and Pascal Mallier (Chambre d' Agriculture). I'm not sure what criteria were used to choose this vineyard to illustrate biodiversity as this was a pretty half-hearted attempt at grassing over a vineyard with just a thin line of grass in the centre of the row. The producer told us that this system reduced his use of weed killer by a third. Furthermore there were vines close by where biodiversity was severely hindered by the use of 100% weed killer. 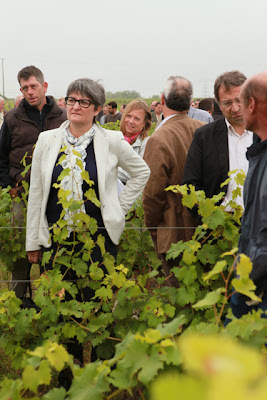 They also talked about the recent adoption of confusion sexuelles – something the vignerons of Limeray (Touraine-Amboise) were using some 20 years ago. In one sense it was a brave decision to show a far from ideal example of biodiversity to the press – both local and national journalists, amongst them Michel Bettane and Isabelle Bachelet. 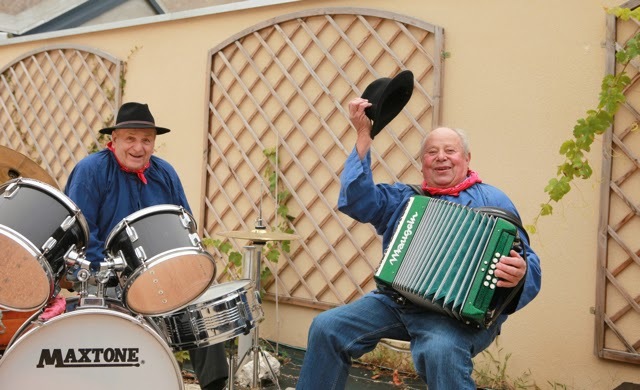 They could have chosen to show one of the Domaine Huet parcels – biodynamic for well over 20 years, which would have given a very different impression. 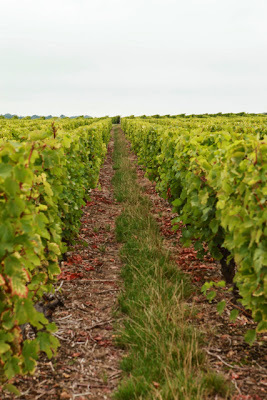 From wandering around the appellation my guess is that neither the vines shown nor the Huet vines are really representative of the appellation.